On the seventh day of the federal shutdown, the trickle-down effect continues forcing local companies to make severe cutbacks, and many firms that have not started furloughs yet are getting ready. As of Monday, 2,400 employees at Lockheed Martin are not working and not getting paid. Tysons Corner-based OBXtek Inc. is an IT support contractor with one client: The government. The thought of time off and no pay scares facilities security officer Tracy Newkirk. "I definitely have to have this job,” she said. “I'm a single parent and I'm the only one supporting myself and my children." She has three children, including one in college. "And it's not cheap at all," she said. 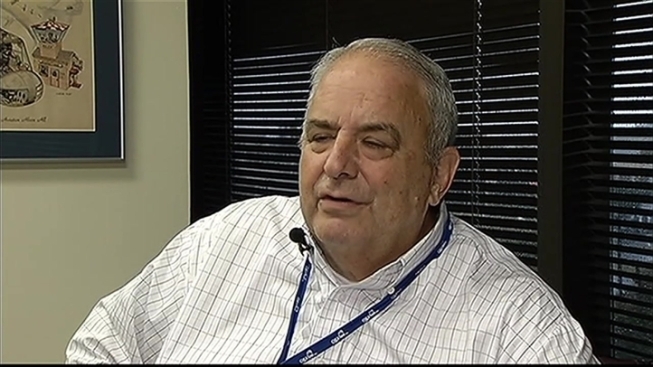 OBXtek President Ed Jesson is getting close to the point of layoffs. "And most of these people I know personally, and yes, it'll be very painful to let these people go," he said. Jesson said he already sees the trickle down in his building, where Café America owner Simon Lee said he has lost 20-30 percent of his business. "Maybe a couple more weeks before we have to shut down," he said. Several of the employees at the business complex which is usually packed say it has been quieter since the shutdown. Their concern is that should it continue to linger on, it'll be dead silent.